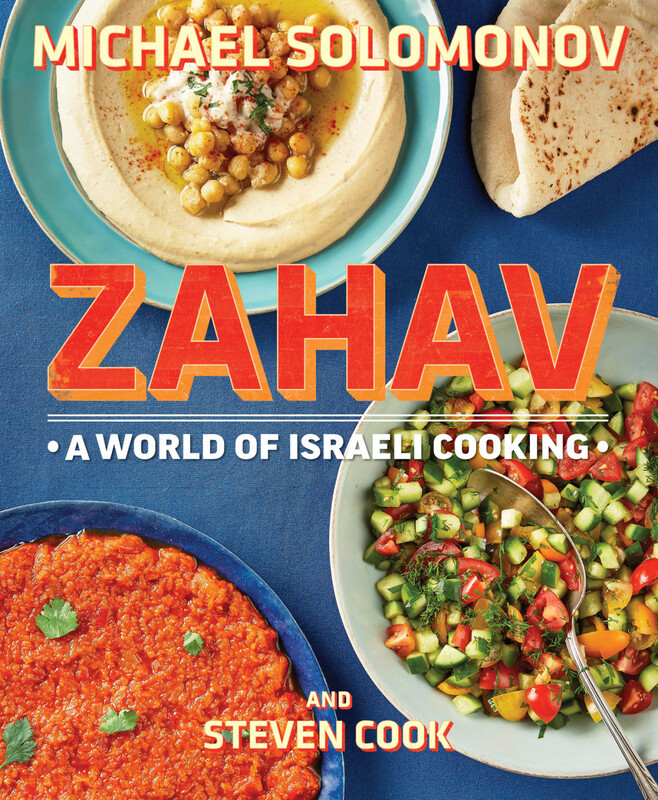 A month or so ago, our office's chief RD, Rob Lazzinnaro, brought a copy of Michael Solomonov' Zahav: A World of Israeli Cooking into the office. After a quick peek, I rushed to my computer to order it. A bunch of weeks later and I'm so glad I did. 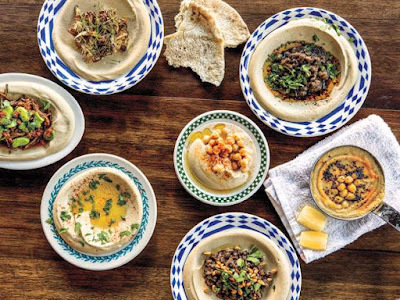 For those who aren't familiar with Israeli cooking, plainly, it's amazing and eclectic, as like Israel, it's a mishmash of cultures, countries, and religions. Having lived in Israel for a year when I was 14, I developed a taste for the region, and who better than Eater.com's 2014 chef of the year, 2011's James Beard best chef of the Mid-Atlantic, and owner/operator of Philadelphia's Israeli cuisine Zahav restaurant Solomonov to bring Israeli cooking to global kitchens? I do though, find it difficult to describe Israeli cooking. It's a broad collection of flavours and tastes, all kissed by the the spices of the Middle East. Salads and mezze feature prominently, and so too do seminal dishes and condiments like hummus and tehina. Hummus, the chickpea based dish I'm sure you know, but I'm not as sure you'll know tehina - even though it serves as the basis of hummus. And boy is Zahav's tehina amazing. It was the first thing I made from the cookbook, and I've made a new batch every week since. Given it's been published elsewhere online, I think it's safe to share. Break up the head of garlic and throw unpeeled cloves into a blender. Add the lemon juice and 1/2 of a teaspoon of salt. Blend on high for a few seconds until you've got a coarse puree and then let puree stand for 10 minutes. Pour the puree through a fine mesh strainer over a large mixing bowl and with a spoon, press on the puree to extract as much liquid as possible. Toss out the solids and add to it the 2 generous cups of tehini, the cumin, and the remainder of the salt. Whisk this mixture together until smooth adding ice water a few tablespoons at a time to thin it out (ends up being somewhere around 1.5 cups of water). At the beginning, the sauce will be very thick, but as you add water, it'll thin out and lighten in colour. Your final product should be smooth, creamy and thick, coming off in ribbons from your whisk as you raise it. It'll keep for a week refrigerated and it can be frozen for up to a month. Honestly, I could eat this stuff on anything. I've tried it with the obvious - falafel and shawarma, but also on grilled fish, just on it's own as a dip, and of course as a base for other recipes. 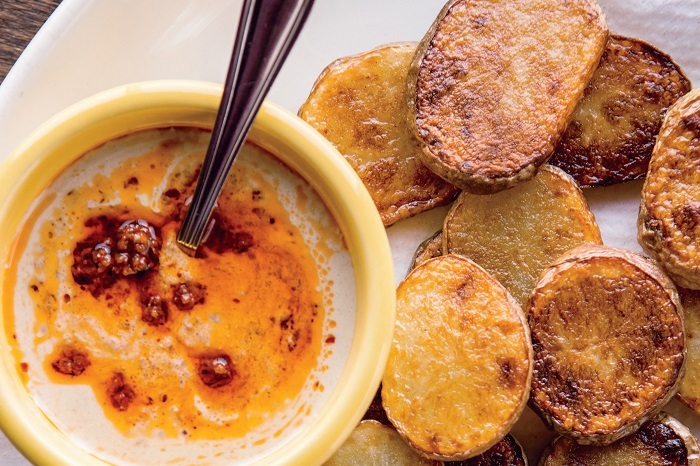 That photo up above from Zahav is 4 parts this tehina sauce and one part harissa (recipe in Zahav, but also easily buyable in middle eastern markets) along with fried potatoes. It's ridiculous. I've made Solomonov's hummus, multiple ways (that photo up above is from Zahav and shows the many different ways Zahav teaches you to prepare hummus), his version of Yemenite hot sauce (zchug), his chicken soup with ghondi (think chickpea and chicken dumplings) that my kids now want included in our regular rotation, and I'm never buying pita again given his recipe only needs an hour rise, is delicious, and not one has failed to puff while baking. 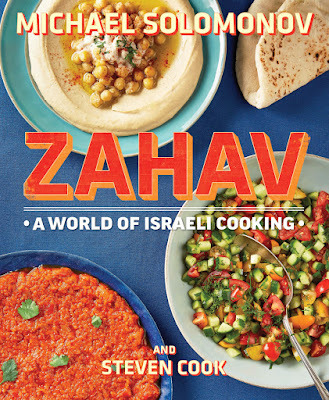 What's also exciting is just how accessible Zahav's recipes are. There's so much more for me to cook from this book, and given it's summertime, I know I'm going to give his "Live Fire" chapter a workout. Thankfully absent from Zahav is nonsensical health hype. Missing though is nutritional information - something that I think should be standard practice in this day and age. For readers here, that tehina recipe up above clocks in at roughly 90 calories per tablespoon coming primarily from sesame seeds' mono and polyunsaturated fats. Given it's soon to be both Mothers' and Fathers' day, if you're looking for a fabulous and very different than we're used to here in North America cookbook, look no further. If interested, here's an Amazon Associates link to buy (and if you're Canadian, here's one from Amazon Canada - though it may still be cheaper to order from US even with exchange and shipping) where a full 90% of the reviews are 5 star.